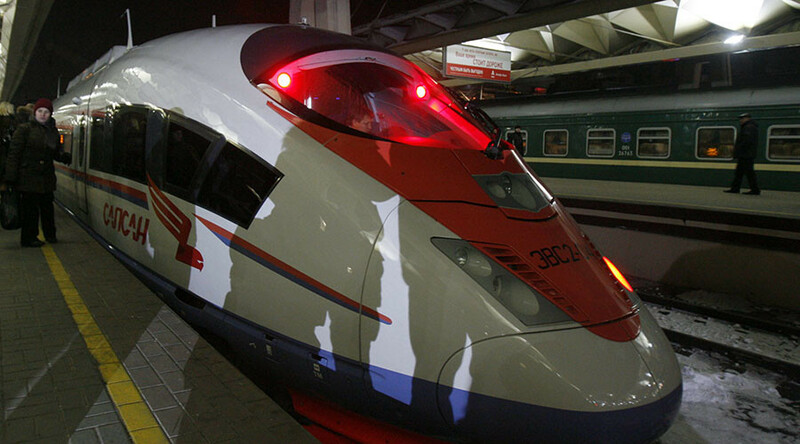 A consortium of major German companies is ready to provide €2.7 billion to construct the Moscow-Kazan high-speed railroad, according to the Vice President of Russian Railways Alexander Misharin. Initially the sum proposed was €2 billion. "Now we speak about investment of about €2.7 billion," Misharin told TASS, adding the terms of the financing will be fixed in an intergovernmental agreement. Germany’s Siemens is part of the consortium and has said it is ready to manufacture rolling stock for the route. The company wants to provide an enhanced version of its high-speed Sapsan train for the new line. Siemens’ Sapsan trains currently operate on the Moscow to St. Petersburg line. The route from Moscow to Kazan is planned as part of a network of high-speed lines to be built by 2018 when Russia hosts the FIFA World Cup. Kazan will be one of the Russian cities hosting the tournament. The ambitious project has already attracted interest from China which plans to put in up to $6 billion. Last year, the China Railway Group won a $390 million contract to develop the Moscow-Kazan railway which may be extended to the Chinese capital. The route is expected to become part of the grand Silk Road project, a Chinese economic corridor with Russia and Mongolia. Beijing sees the high-speed rail project as a way to boost communication and trade with Russia and Europe. 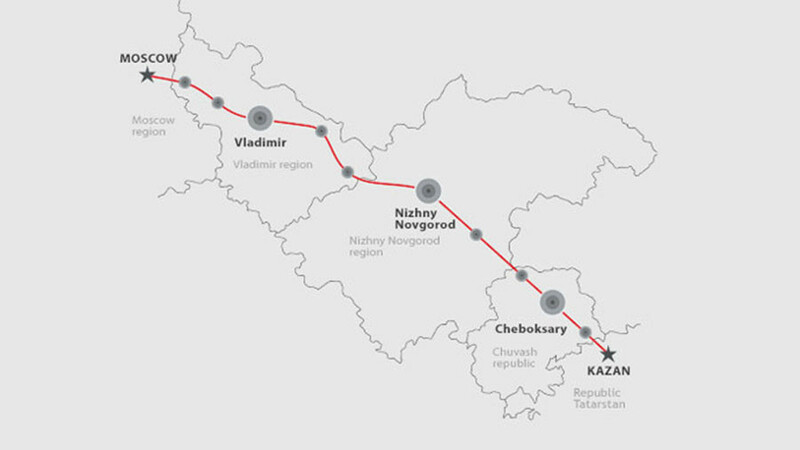 The cost of the 770 kilometer Moscow-Kazan link is estimated at $21.4 billion. It will stretch through seven regions of Russia, reducing the current 12-hour journey time from Moscow to the capital of the Republic of Tatarstan to just three and half hours. The trains will be able to reach speeds of 400 kilometers per hour. The average annual passenger traffic is estimated at about 200 million people.